No one attempted to answer Tuesday's question, so there is no winner to mention. Don't be shy with today's question! Give it a try! We're sure someone out there knows the answer! :) Good luck! We really want to share a winner on Saturday! What was the first plague of Egypt? Today is World Wide Web Wednesday! Today is Memory Verse Monday! 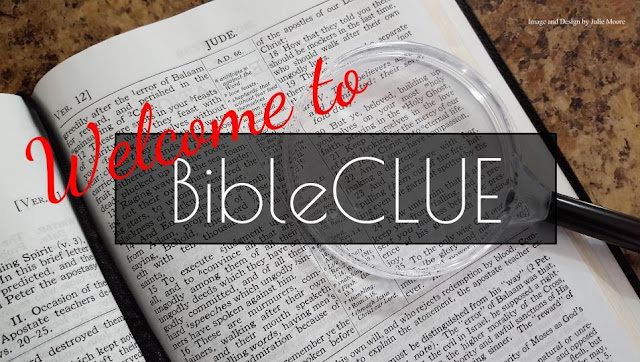 This blog's main goal is to strengthen your understanding of God's Word! The CLUE in BibleCLUE stands for: Christ Loves Us Eternally. "He is not here, but is risen: remember how he spake unto you when he was yet in Galilee,"
Sunday will be Summary Sunday. This is the day that we summarize what happened the week before by giving you links to the previous week's posts. Monday will be Memory Verse Monday. This day will contain a weekly memory verse. Tuesday will be Trivia Tuesday. 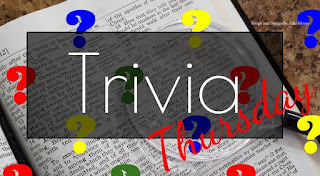 This day will have a Bible trivia question for you. You can put your answer as a comment on this post, and the first one to answer it correctly will be mentioned in Thursday's post! Wednesday will be World Wide Web Wednesday. This day will feature a website, online radio station, online article, YouTube video, etc. that we think will be of interest to you or that is a favorite of ours. Thursday will be Trivia Thursday. This day will have a Bible trivia question for you. 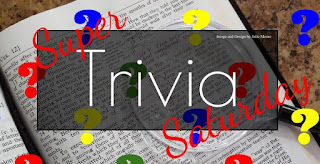 You can put your answer as a comment on this post, and the first one to answer it correctly will be mentioned in Saturday's post! 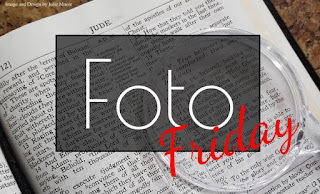 Friday will be Foto Friday. Yes, we know we misspelled photo, but "foto" looked better with Friday. This day we will give you a part of a picture or a blurred out portion of a picture to identify. You can put your answer as a comment on this post, and the first one to answer it correctly will be mentioned in the following Friday's post! 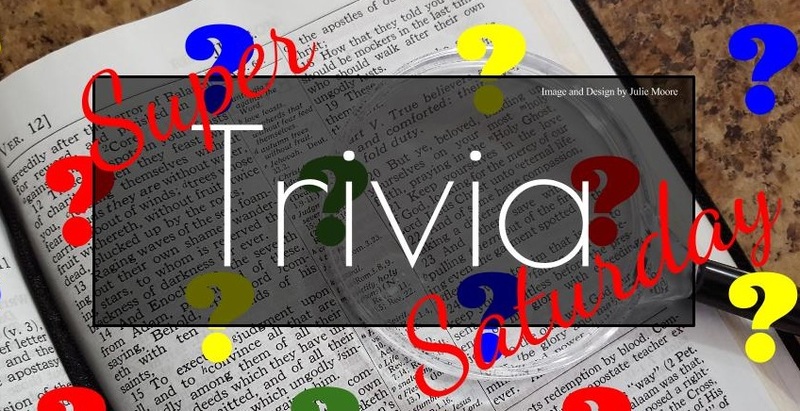 Saturday will be Super Trivia Saturday. This day will have a Bible trivia question for you, though it may be harder than Tuesday and Thursday's trivia questions. You can put your answer as a comment on this post, and the first one to answer it correctly will be mentioned in the upcoming Tuesday's post!